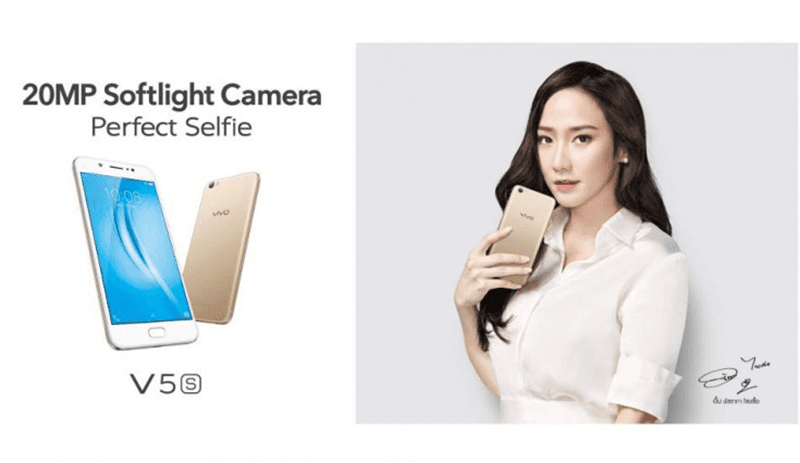 Vivo V5s Now Official, Now Has Bigger 64 GB Storage! Home / mobile / news / vivo / Vivo V5s Now Official, Now Has Bigger 64 GB Storage! As a follow-up to the success of Vivo V5, Vivo has introduced its upgrade, the V5s. Technically, it's very identical to V5 except that it now has bigger storage. In particular, the Vivo V5s only have a change in antenna lines design (ala Vivo V5 Plus), but the dimensions are still the same. Then coming from the standard 32 GB storage, the Vivo V5s now loads with large 64 GB storage. Related: Vivo V5s With Bigger 64 GB Storage Now In PH Stores, Retails For PHP 14990! It still has the same 1.5 GHz 64 Bit MT6750 octa core processor, 4 GB RAM, AK4376 HiFi DAC, fingerprint scanner behind, and the famed 20 MP f/2.0 Sony IMX376 w/ softlight flash selfie camera. In Thailand the phone will retail for 9990 Thai Baht which is around PHP 14.5K out of direct conversion. We'll confirm if it'll also be available here.